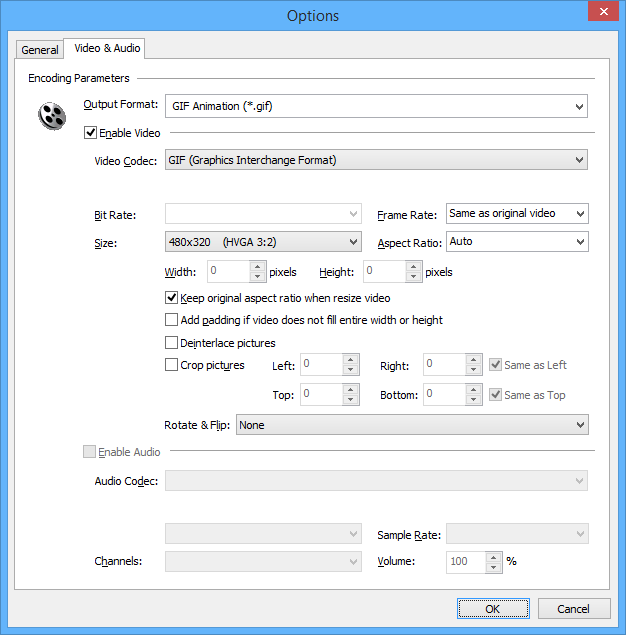 WEBM to GIF Converter Software converts WEBM files to GIF in batch. GIF is playable in any web browsers. So you can put WEBM video on your website or blog by converting WEBM to GIF. WEBM to GIF Converter Software is an all-in-one video and audio converter. The software also supports common file format such as MPEG, H.264 AVC, AVI, TS, MOV, etc. It could convert MPEG to 3GP, BIK to H.264 AVC, H264 to OGV, DVD to VCD, BIK to OGV, and so on. WEBM to GIF Converter Software supports batch conversion that enables you convert bulk WEBM files to GIF at a time. The software is fully compatible with 32-bit and 64-bit Windows 10/8/7/Vista/XP/2000. WebM is an audio-video format designed to provide royalty-free, open video compression for use with HTML5 video. The project's development is sponsored by Google Inc. Google acquired ON2, the original developer of VP8 technology. VP8 is now an open and free technology. Adobe Systems announced that its Flash Player will be updated to support WebM, but no exact date was specified for its addition. Logitech is planning to use WebM as part of a video calling service. WebM Project licenses VP8 hardware accelerators (RTL IP) to semiconductor companies for 1080p encoding and decoding at zero cost. AMD, ARM and Broadcom have announced support for hardware acceleration of the WebM format. Intel is also considering hardware-based acceleration for WebM in its Atom-based TV chips if the format gains popularity. Qualcomm and Texas Instruments have announced support, with native support coming to the TI OMAP processor. Chip&Media have announced a fully hardware decoder for VP8 that can decode full HD resolution VP8 streams at 60 frames per second. Also ST-Ericsson and Huawei have hardware implementations in their computer chips. VP8 is a highly efficient video compression technology that was developed by On2 Technologies. Google acquired On2 in February, 2010. For more information, see the -VP8 Video Codec" section below. A WebM file consists of VP8 video and Vorbis audio streams, in a container based on a profile of Matroska. Sorenson Media's online encoding platform now supports VP8 and WebM. In January 2011, Google announced that the WebM Project Team will release plugins for Internet Explorer and Safari to allow playback of WebM files through the standard HTML5 <video> tag. As of 9 June 2012, a public preview version of this plug-in is available for Internet Explorer 9. GIF files are a format commonly used for graphics presented on websites. GIFs can contain a maximum of 256 colors, and are therefore best for images that contain simple shapes, a limited color palette, text and other elements as opposed to photos. GIF stands for Graphics Interchange Format. Shorter code lengths can be used for palettes smaller than the 256 colors in the example. If the palette is only 64 colors (so color indexes are 6 bits wide), the symbols can range from 0 to 63, and the symbol width can be taken to be 6 bits, with codes starting at 7 bits. In fact, the symbol width need not match the palette size: as long as the values decoded are always less than the number of colors in the palette, the symbols can be any width from 2 to 8, and the palette size any power of 2 from 2 to 256. For example, if only the first four colors (values 0 to 3) of the palette are used, the symbols can taken to be 2 bits wide with codes starting at 3 bits. GIF was one of the first two image formats commonly used on Web sites, the other being the black-and-white XBM. Conceptually, a GIF file describes a fixed-sized graphical area (the "logical screen") populated with zero or more "images". Many GIF files have a single image that fills the entire logical screen. Others divide the logical screen into separate sub-images. The images may also function as animation frames in an animated GIF file, but again these need not fill the entire logical screen. GIF images are compressed using the Lempel-Ziv-Welch (LZW) lossless data compression technique to reduce the file size without degrading the visual quality. This compression technique was patented in 1985. Controversy over the licensing agreement between the software patent holder, Unisys, and CompuServe in 1994 spurred the development of the Portable Network Graphics (PNG) standard. All the relevant patents have now expired. 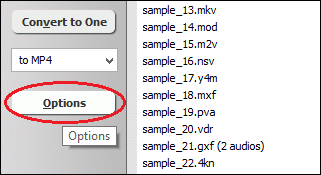 Click "Add Files" to choose WEBM files and then add them to conversion queue. If you just want to convert a part of WEBM, please switch to tab "General", and then set beginning and end position. 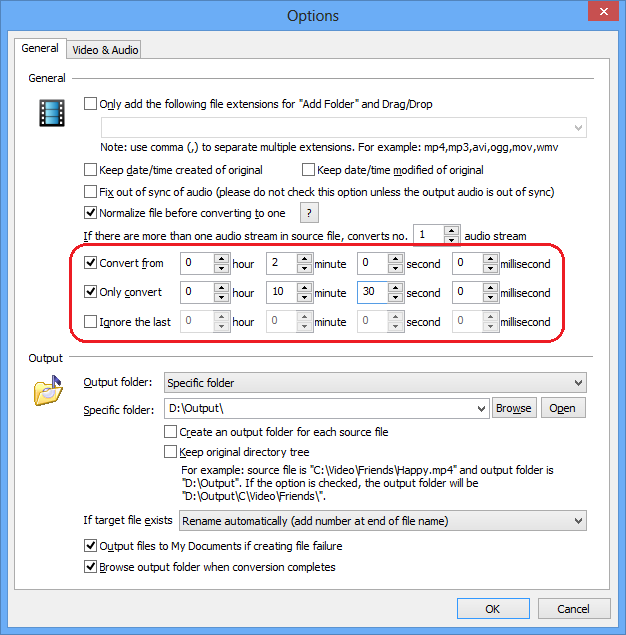 Click on "Convert" to convert WEBM files to GIF animation; alternatively, click on "Convert to One" to convert all files in list and combine to a single one GIF file. The software is converting WEBM files to GIF format. WEBM to GIF Converter Software offers free trial for evaluating the software. If you're looking for a freeware, please remember a lot of freeware is not professinal. And some freeware bundles with adware or malware that might harm your system. WEBM to GIF Converter Software is 100% clean and safe to install. It's certified by major download sites.